Pecans are one of my favorite nuts. I love how easily they transition between sweet and savory dishes. I think I’ve mentioned that I hoard mini chocolate chips before. They’re sometimes impossible to find at the store and I prefer them in recipes so I tend to buy a bunch of them whenever I see them. I’m the same way with pecans. They’re pretty expensive here, but around the holiday baking season they go on sale at Aldi I stock up to nearly a years supply. So if you’re ever in the mood for mini chocolate chips and pecans, you know what house to go to, because I always have a ton! 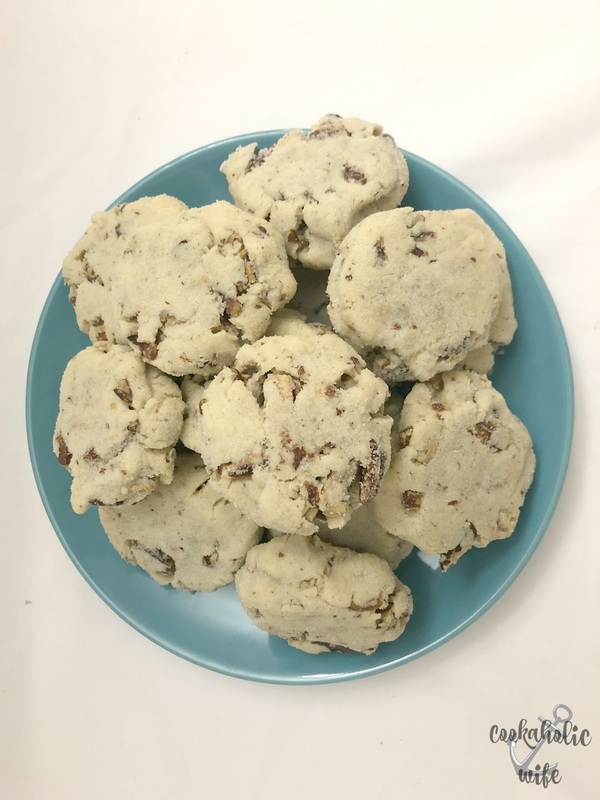 Today is National Pecan Day and the Festive Foodies are celebrating with a bunch of pecan recipes. Our host for this event is Liz of Books N Cooks. Butter Pecan cookies come together quickly and pack a punch of flavor. Arrange the pecans into an even layer on one of the prepared baking sheets and bake for 5 minutes, then set aside to cool. In a bowl of a stand mixer, add the butter and sugar and beat until light and fluffy. Add in the vanilla extract, almond extract, salt and flour until a dough forms. Chop the cooled pecans and fold them into the mixture by hand. Scoop golf-ball sized cookies and roll in the extra sugar. Place on the prepared baking sheets. Flatten with a glass or your palm. Bake for 8 minutes then rotate the cooking sheets and bake for 7-8 minutes more or until just golden. These cookies are so easy to make and required hardly any ingredients that you can pretty much make them without any extra trips to the store. 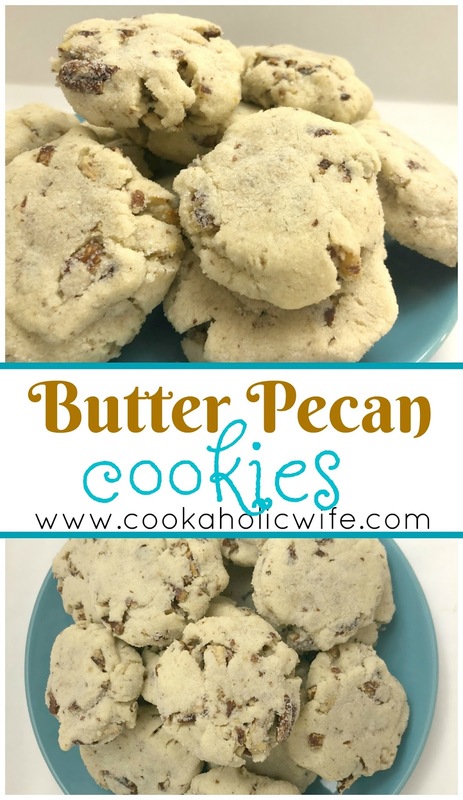 They’re basically a shortbread cookie with extra sugar and pecans included. Perfect for your morning coffee or tea or just a light bit of sweetness whenever you want. 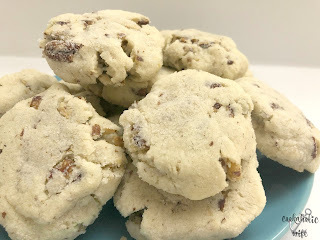 I'm loving all the pecans in these cookies! I'm surprised you didn't tossed a few chocolate chips in there! Great idea – stocking up on pecans after Christmas. They keep beautifully in the freezer, so it really is something you can stock up on!